Im so sick of ABC and Freeforms ignorance! So many good shows cancelled! Now they wont sell rights to #shadowhunters . All because of pride and they wont make as much money. Time to boycott! Netflix and Hulu want to buy it out and they still wont sell, even though they dont have funding! Shame on yll. Hope yll lose your networks, because that is our goal! Over 5 million tweets in 3 days! We wont give up! They better not cancel Shadowhunters or Famous in Love it’s bad even they canceled Beyond.. seems like they cancel all the good shows like Ravenswood was awesome and had great ratings so why did they cancel it?? And all these years later I’m still pissed about Kyle XY , the Lying game, and Twisted they were great shows and they left them with horrible cliff hangers Freeform is awful when it comes to canceling shows I don’t even know how they still have viewers!! Shadow hunters season 4!! I don’t agree with ratings , people are watching it on Netflix UK and all over the world , its about time digital streaming ratings were taken in to account ! Why should 400k’s worth of viewers end a show when it has a much wider fan base? It’s such an amazing show and there are way more books worth of story to tell ! What makes only American viewership so special ? You aren’t the only people on this planet who decide which shows are good . Please give Shadowhunters a season 4! I need my Shadowhunters S4 and more, please? Please don’t take Shadowhunters there’s a lot of the story left. Please don’t cancel ShadowHunters or Famous In Love or Siren! I wish you would rethink about canceling or ending Recovery Road, Pretty Little Liars, Beyond, Nine Lives of Chloe King! These shows are amazing! The best in fact they are the things I look forward to! Don’t cancel please look over some of these shows find a way please and continue these at least try cause! You Never Fail Until You Stop Trying! Please keep my Shadowhunters! Is the only show i watch on tv at all! Renew Famous in Love please!!! Please renew Famous In Love! I don’t think it’s happening seeing where it is in the ratings. They canned Stitchers for worse ratings. I love Shadowhunters! My 16 year old daughter and I read all the books. Now we watch the shows together! Personally it would an awful decision to cancel the show at this juncture. Jeez Louise. ..even i could write a good script with the choices that are left open here. 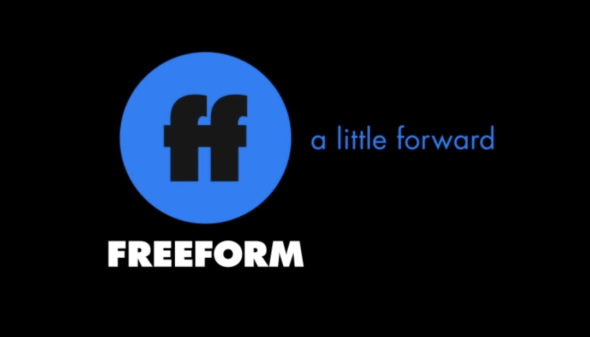 Let’s get it on FreeForm. I agree!!! That actually my number one show. Please renew Beyond, its so awesome TV show, i was reading comments about canceling season 3,and people are very sad and pissed.. So please, bring it back. It has a potential to be good. Its unique TV show.